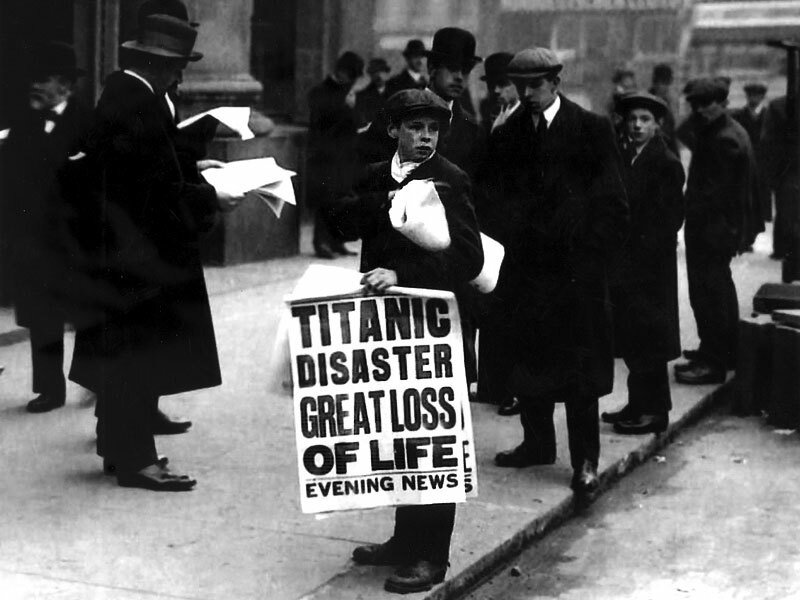 1912: The World learns about the sinking of the Titanic. Survivors picked up by the California head for the United States. 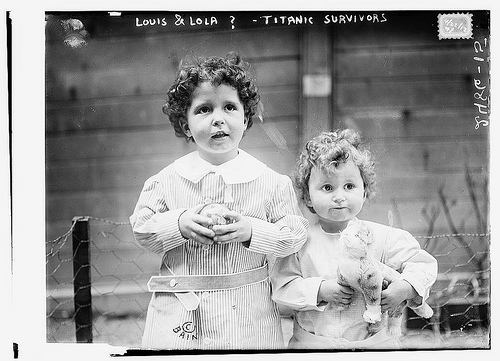 Titanic orphans Louis and Lola. Four year old Michel Marcel Navratil and younger brother Edmond Roger Navratil, before they were formally identified. They had boarded the Titanic with their father who did not survive. 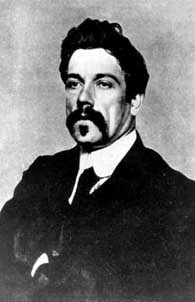 Michael was one of the longest surviving Titanic passengers. He died 2001. 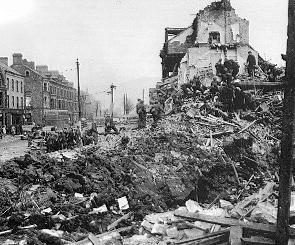 1941: Belfast suffers major damage on night of 15/16 April as Nazi bombers rain death on the city. An estimated 180 planes participated in a concerted assault for more than four hours. An estimated 900 died in an attack on a city whose anti-aircraft guns and civil defense infrastructure was woefully inadequate. Belfast would not suffer nightly attacks as London did, but there would be more nights of terror in coming months. Paisley would prove to be a thorn in the side of London and Dublin governments for over thirty years as he opposed the Sunningdale Agreement 1973, the 1985 Anglo-Irish Agreement and the 1998 Good Friday Agreement. He was a major player in the Ulster Workers’ Strike which brought down the power-sharing administration in 1974. In what can only be called an astonishing conversion, Paisley would eventually enter Government in May 2007 with some of his long time Sinn Fein opponents.